Traveling is over for now! Once again I am back home and really happy because I get to dig into my blogging and I have a lot of fun with it. There is a lot planned on my other blogs. So my trip to Canada is over and I logged 1964 miles 47 less than my first trip there in 2012. Lots is about to happen at my other blogs so go to the right panel and click on the links to them under My Family History Blogs. If you want to see what I have been up to on my travels in Canada go to The Man Who Lived Airplanes and the Boardman and Brown blog for my posts on my wanderings. In the month of September 2014, I was traveling through New York state, Ontario, Michigan and Quebec and I did 1964 miles on this 2nd trip. It was EPIC! 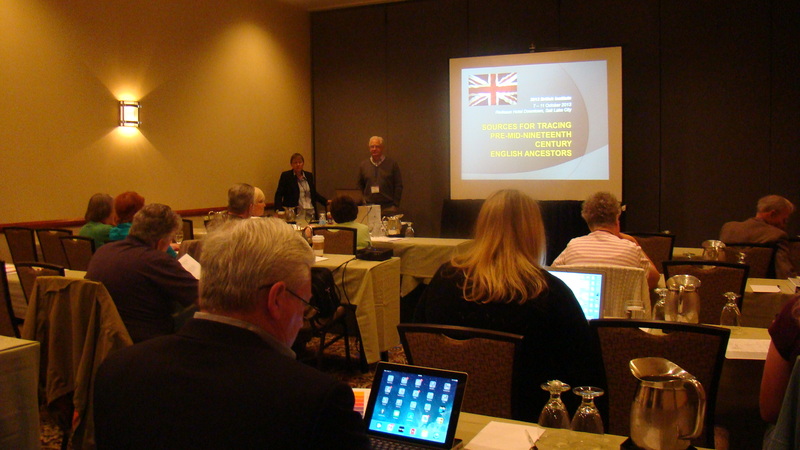 I will be heading back to Salt Lake City for the British Institute class on Scottish records. This course may not have much to do with Massachusetts but I am gearing up for a big trip to the British Isles. Well, I have been too busy dithering and didn’t let you know that I did finished my trip to Ontario and Quebec and it was WONDERFUL. It was fun to hear French spoken in a cafe as a customer ordered their meal. I really enjoyed it, met some very nice people, wore myself out but had a grand time and some very interesting experiences. At the Ontario Genealogical Society Conference in Kingston I toasted the Queen and sat with some rather elite US and Canadian genealogists who lecture, publish and have their own websites and blogs. You will have to go to and read about it. Giggle! Driving along the Ottawa River and the St. Lawrence were some of my favorite moments. I did 2117 miles!!!!! It was the biggest trip ever and the most expensive! It was worth every mile and penny. Hopefully I will be able to go to western Ontario this coming Spring of 2013. I am so tempted to return to some of these places I visited along the St. Lawrence River up to Kingston and maybe beyond. We will see, I have been faced with a health challenge and so far so good! 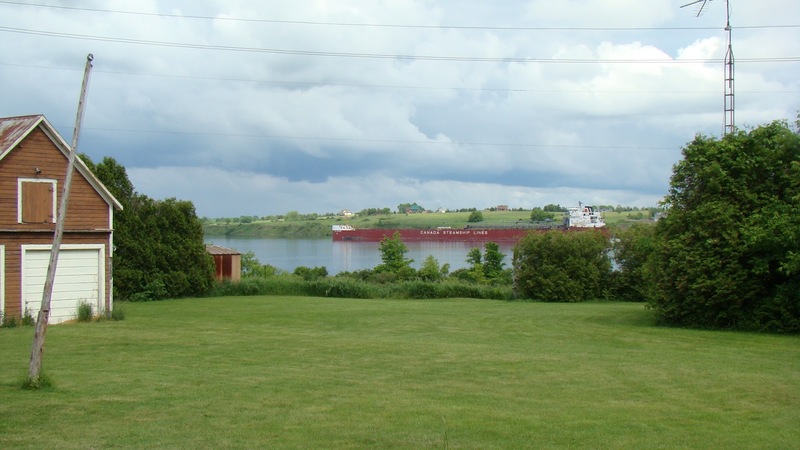 This picture is of the St. Lawrence with a big ship heading downstream. Remember the St. Lawrence flows northwest to the Atlantic? I wrote about my trip in my blogs – The Man Who Lived Airplanes and The Boardmans and Browns of Winnipeg I did most of the writing after I returned home. I find that it is very difficult to do a blog while traveling — something like technical difficulties, Wi-Fi problems and other interesting events. This blog is starting to age, but hopefully it will still help others with links, ideas and more. I have not done anything with the links in the posts or on the sidebar so if you have a problem let me know. Something happened to some photos and so I took them out. Don’t forget that I do have Picasa Web Albums and YouTube Videos on a lot of these cemeteries. Did I find Archibald McDonell’s origins? Nope…it will be very difficult. For some reason the researchers in Ontario laughed at me when I told them I was researching McDonells? HA! On the other hand I did establish that William Brown did come to Ontario at the age of 69 years old and is buried in the St. Thomas Cemetery in Belleville, Hastings Co., Ontario. My cousins were thrilled. 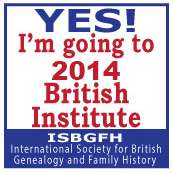 As for the rest of the saga of the Philip Goss lineage, I am hoping to head to Boston in about a year. Are you as fascinated as I am with the way families connect? 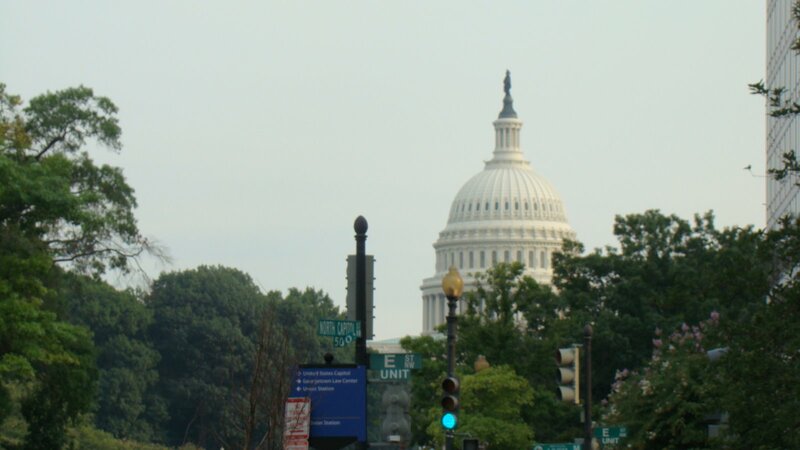 The other side of my family had to migrate from Canada down to Minnesota and into Washington State in order to connect with this Goss family I have featured in this genealogical travel blog! The old Goss family that I emphasized in this blog is connected to me through my father’s mother’s side of the family and through his grandmother Amarilla Barclay Dawes Urton. Amarilla and George had Grace and she married Ronald S. McDonald in secret in September 1898 in Hudson, Wisconsin about a month before her father George was murdered!! Grace and Ronald lived in Minnesota where my Dad was born. These two people are my grandparents. Actually, I started with the MacDonald/McDonald/McDonell/Macdonell side of my family when I began researching because that is what I knew the best. Back in 1999, Canada online was very young and not like it is today. They have come a long way and are amazing! Some of Ronald and Grace’s children – My Dad is on the right! This Spring of 2012, I am off to Ontario and Quebec to learn more about the origins of my great grandfather Archibald McDonell and my great grandmother Mary McDonell’s family. Yes, they were both McDonell’s. I will also be learning more about the Boardmans and the Brown side of my family, my mother’s side! As you can see I have deep roots in Canada. If you have family connections to Ontario or Quebec join me as I travel along! I will be following along two great rivers there the Ottawa and the St. Lawrence. What stories rivers could tell sigh! I will be attending the Ontario Genealogical Society Conference in Kingston June 1-3, 2012. You will find more information at these links. I will be posting on each of the two blogs below according to the research. Don’t worry I will let you know where to look! 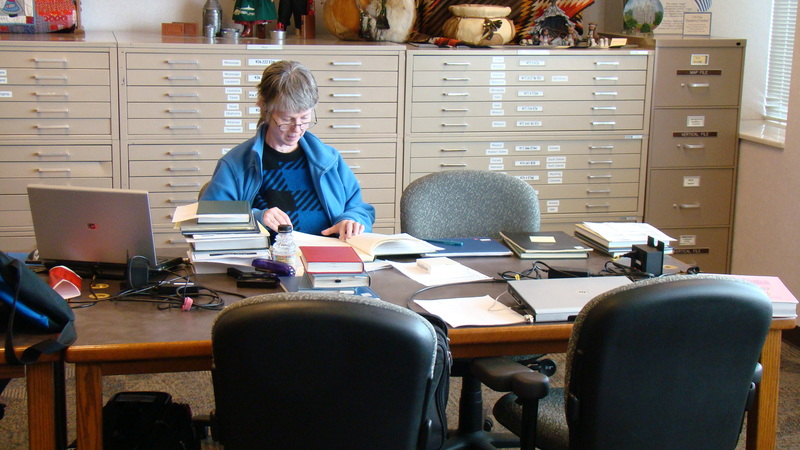 Come along and see what I learn about Canadian genealogical research! My trip to Ohio is completed. It was a big job and I put 1547 miles on the car rental. Got lost a couple of times or went in the wrong direction but nothing major. I found Ohio to be lovely, green and lush. The weather was just fine except for two days of really hot and muggy, then rain from tropical storm Lee. I felt like I was home except we have more fir and pine trees. It was a very good trip and I am pleased. Once I finish describing my adventures in Ohio and giving the links to archives I will start digging into the genealogy of my Goss, Keller, Spracklin, Delano and associated surnames in more detail on that blog. 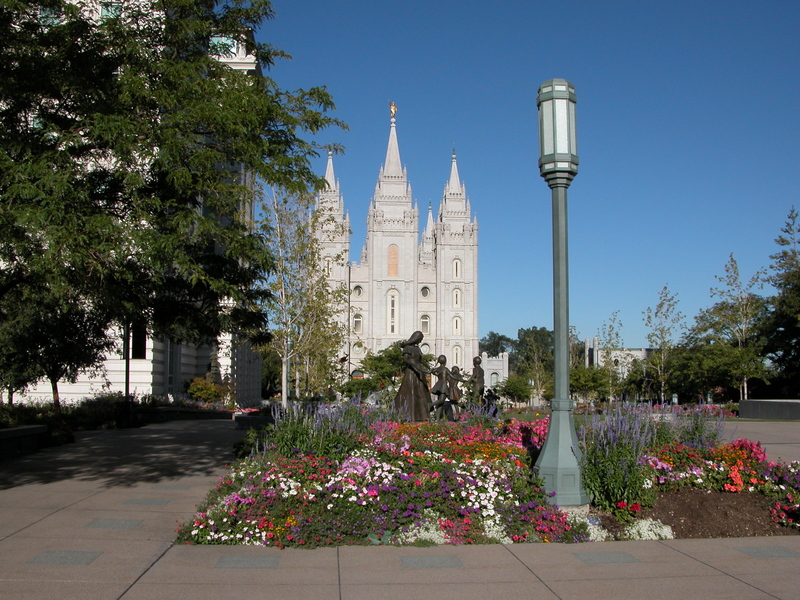 I am probably going to be quiet for awhile now and not go on any trips till Spring of 2012. I frankly need the rest. That trip will be to Michigan and Ontario if I can work it right. It will cover the MacDonald side of my family. There are few things I need to do for Massachusetts Meanderings like post my videos of various cemeteries. That will be an interesting challenge. Time to catch up my other blog posts….! I am frantically preparing for Ohio because it is almost here! AUGGH! First stop Columbus, Ohio where we find the Ohio Historical Society and the Columbus-Metro Public Library. Then off to Kenton, Ohio to revisit the Hardin County Genealogical Society and more. From there to Portage County to pay respects to Ebenezer Goss. 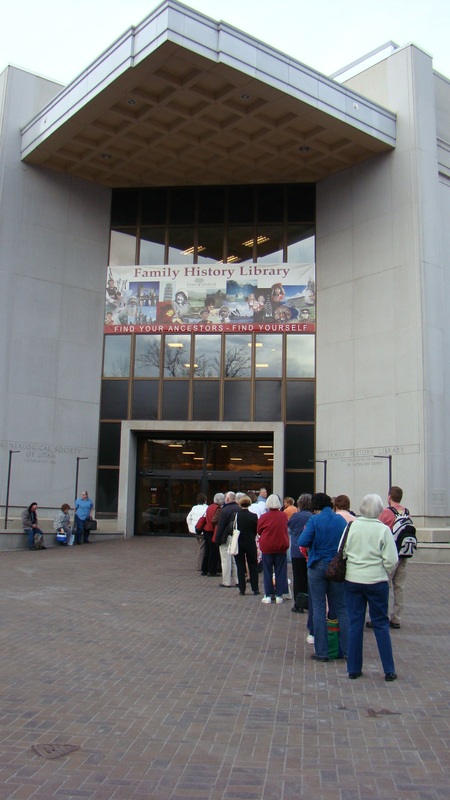 After that the Ohio Genealogical Society in their new home! Then time spent in the Mount Vernon, Knox and Morrow County area of Ohio to dig into the Kellers, Delanos and Spracklins. Last, off to Marietta to see what I can learn about Solomon Goss and others! Solomon Goss of Fearing Township In Ohio! This is the correct link! Now where was that deed??? Catching Up! My Massachusetts Meandering Binder! I have learned that after a trip it is vital that I get all my information and research sourced and filed properly. If I let it slide and come back to it later I wonder what I was trying to do or realize I don’t remember!!! So I am happy to report that my binder for my blog and trip Massachusetts Meanderings is organized with tabs and a wonderful Table of Contents. It is all in a 4 inch Binder, yup…4 inches and it is full. What is in it…everything that has to do with my trip to Massachusetts and Connecticut and the blog. LOVE IT, all in one place. Of course I have my files and photos on the computer but that is under my Genealogical Trips folder which include the original itinerary, my trip journal and my blog book – a copy of my posts in Word, the photos of the trip in nice files with topics, and of course the research which will need to be moved to the Research surname files and sourced. 1. Table of Contents – very detailed because I am forgetting already??? 3. 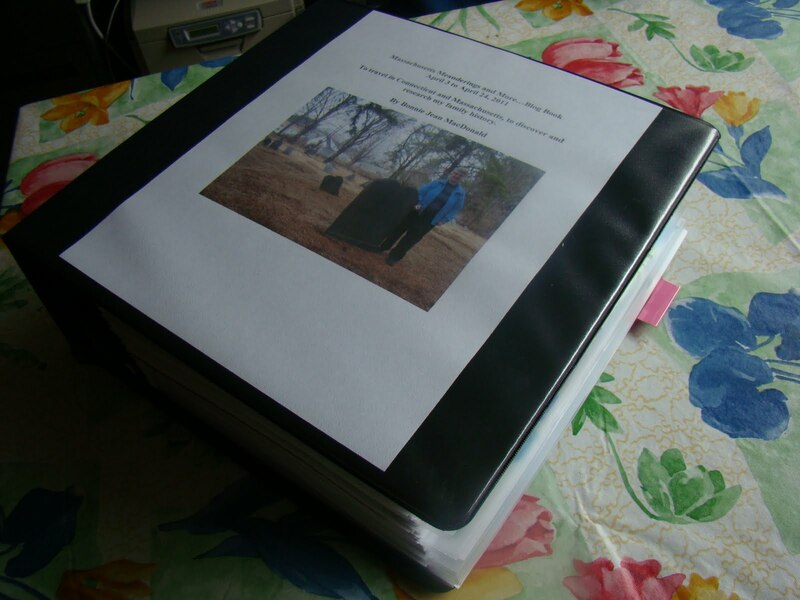 Picasa Public Photos – a thumbnail of the tombstones printed out. 6. Cemetery forms with the back up pages that I was using to find the graves. 7. Blog posts printed out in black and white and doublesided. Lots of pages. 9. Travel documents that I want to keep for awhile – reservations, airline stuff etc. 10. Maps I picked up – in plastic sleeves and other information I want to keep for awhile. 11. Emails I had connecting with people that I feel are important – making appointments etc. 12. Brochures and pamphlets of various repositories and societies as well as travel, also in plastic sleeves. Everything is sorted in sections in between tabs so that I can find it by that event like when I visited The Brookfields or Lancaster. In the past I had a travel file folder, a research files, pictures and everything in many places and it was difficult to remember where things were. So having it all in one place is really nice. Most is on the computer so I can at some point in a couple of years dissemble it and reuse the binder for something else. Yeah, I know I am nuts or obssessed but I have learned that if I don’t document a trip and organize it when I get home, I forget and it is more painful to piece it together later! Trips are sources. I wish my cousin Paul had been more diligent about documenting his trips to interview the family in Pennsylvania back in the 1930’s and 1940’s. Now I still have some things to do but that can be done over the next months. 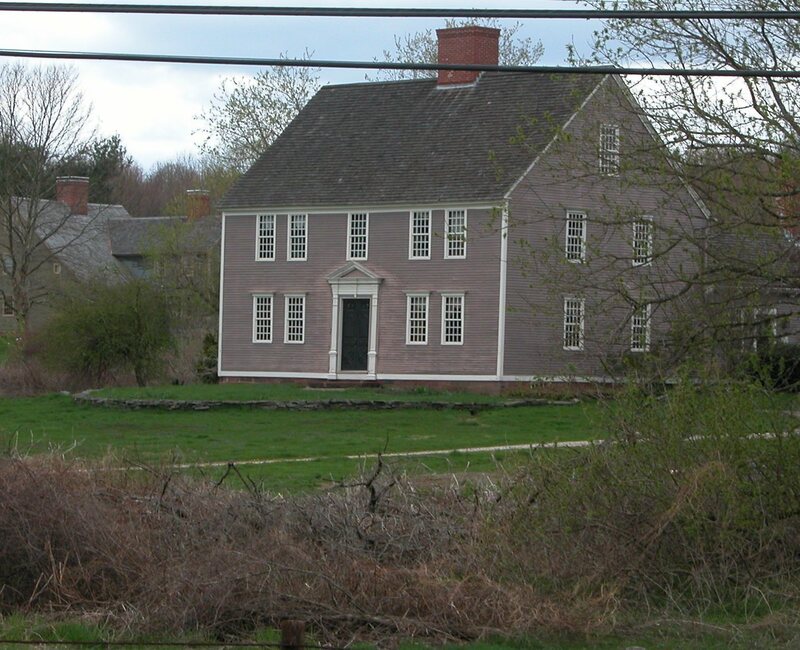 The day is getting close to leaving for my trip to Connecticut and Massachusetts to go in search of my family roots. I am having mixed feelings of excitement, worry and anticipation!!! This is going to be a BIG trip and I have a lot planned. I probably won’t be able to do it all but at least I have my itinerary ready and can pick and choose. The last trip I blogged was hard to do as I traveled about so this blog has been set up in advance. As you can see I have some links to the right already for you to explore. You will have to read the posts to know what happens there or why I am interested in that particular link. Some are just for information about Connecticut and Massachusetts and more. I will be going back further into time for the Goss history and living in the 1600 to early 1700’s. The Barclay’s are about 1830 to 1857 in Connecticut but I have not yet been able to prove this. The other problem is the weather…there is a Storm advisory for parts of Massachusetts for today Friday and Saturday April 1 and 2 (maybe it is a joke for April Fools Day!!) and they are threatening 5 inches or more of snow! I can drive on it but I would rather not. Hopefully by the time I get to these places that could be a problem it will get better. It has also been cold there. I am use to rain and dampness so I have made plans for it. Hmmm…might be a little better than expected? A cousin and I traveled in Ohio in August of 2007 and we ran into flooding and she was unable to go to an archive she wanted because they closed up as a result. We were glued to the TV set!!! A thunder and lighting storm in Mt. Vernon, Ohio happened while we were at the public library there. That can happen on a trip like this..unpredictable events. Let’s hope I still have good travel karma? So I am in the process of making last minute preparations and plans. Talk to you soon! This house was so wonderful to see. ﻿This time a lot more photos and maybe a video or two to YouTube? 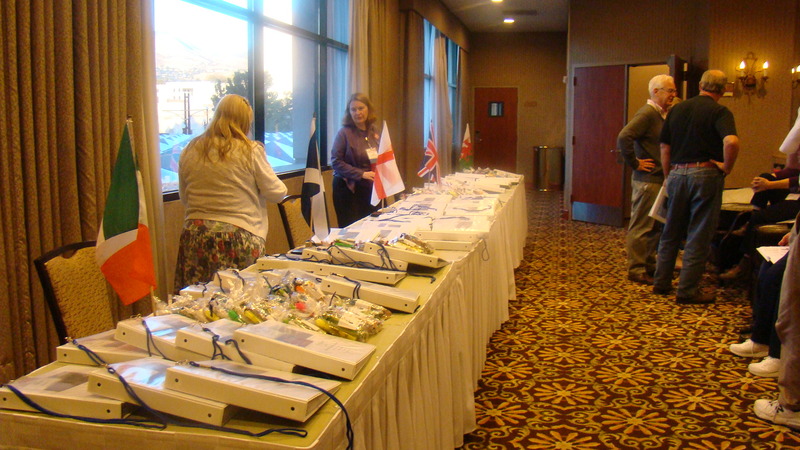 In April of 2007 I had the opportunity to attend the New England Regional Genealogical Conference in Hartford, Connecticut. It was a great conference and gave me the opportunity to visit a variety of places that were part of my family history. I like to write a trip journal or blog my trips because I have learned that it helps me to remember. It documents the trip. I reviewed my journal of the April 2007 trip and it brought back memories and helped me plan this coming trip. I will try to take more pictures this time and even try to make short video clips. 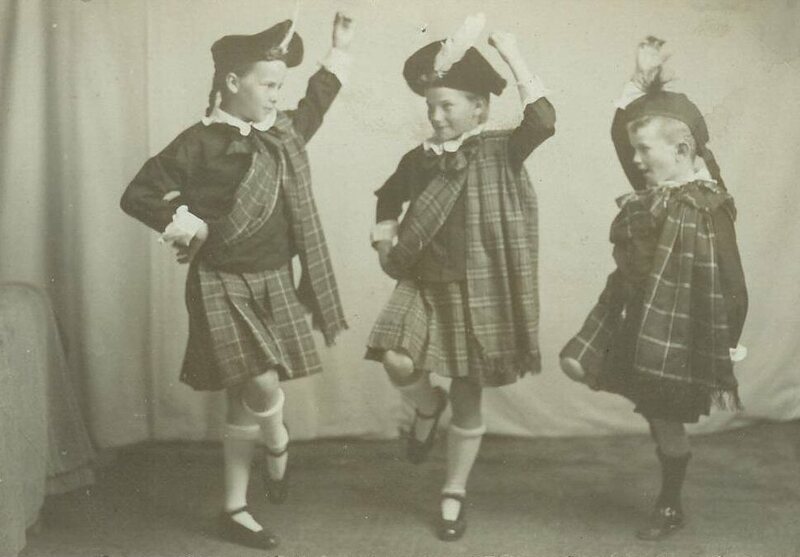 My cousin Paul Henry Goss did various genealogical research trips back in the 1930’s and 1940’s but he only mentions them in his manuscripts but doesn’t really treat them as sources. I would just love to know to who he talked to and what he did and were he went? I would love to have followed him on his trips and in his footsteps. I can only guess where he went and I will try to recreate a little of that on this coming trip. I visited the following towns back then: Hartford, Enfield, East Windsor, Windsor and a little venture into Massachusetts to Longmeadow and Granville. I was able to visit quite a few repositories back then. 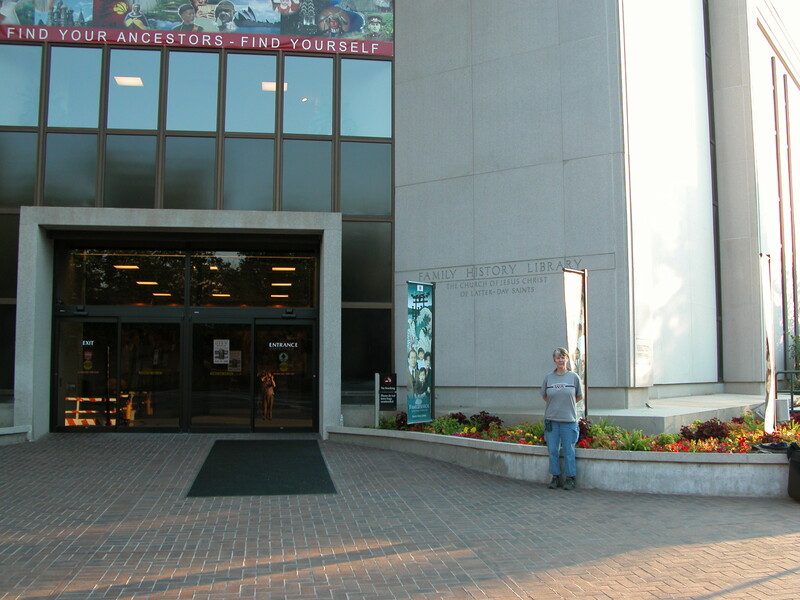 The Connecticut Historical Society: It is wonderful and I spent many hours there. They have Donald Lines Jacobus’ collection. Mr. Jacobus corresponded with Paul H. Goss about the Goss Family. 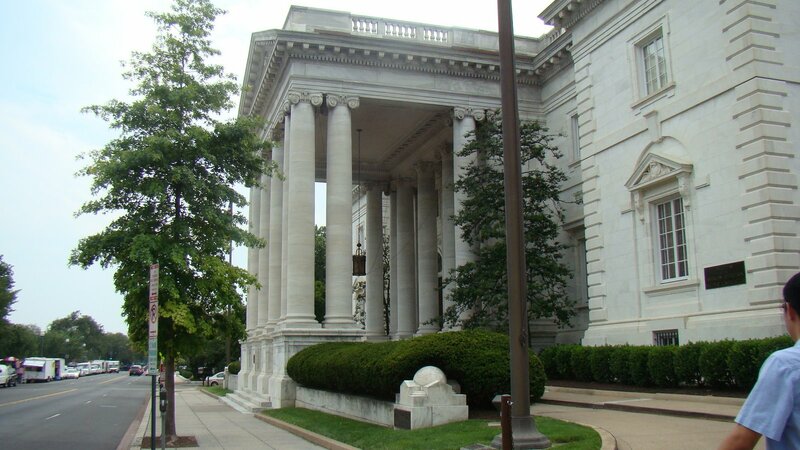 The Connecticut State Library and Archive: I have several days planned to return to this repository and hopefully unlock more secrets. I did find a Barclay/Ford probate file there which has been a treasure. The Enfield Historical Society: I probably won’t return to this society but I have already emailed them a question about the various cemeteries in the area and they have responded. The president did tell me about a book called “Broadlooms and Businessmen.” It was about the Thompsonville Carpet Factory. I am wondering if the Barclay’s worked for this carpet factory? 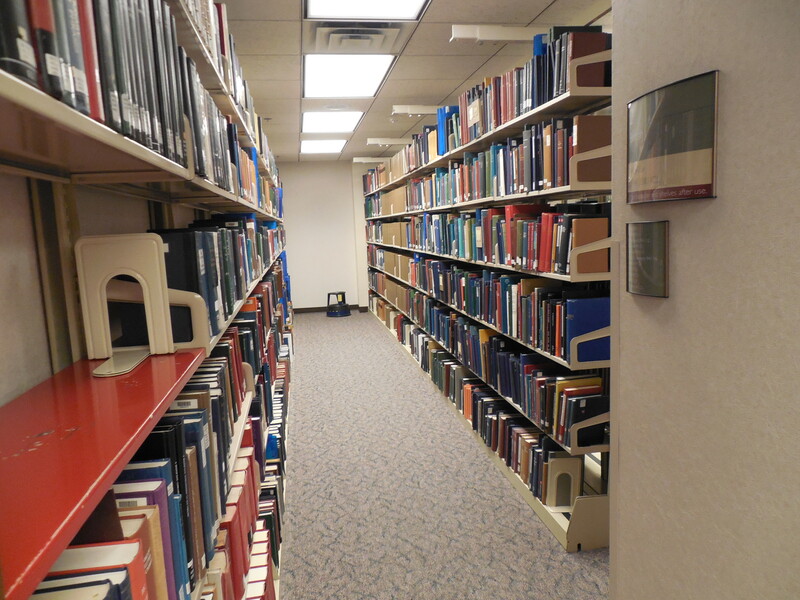 The Enfield Public Library which has small genealogical collection. They had a copy of the book suggested by the Enfield Historical Society. The Longmeadow Historical Society where I learned that the graveyard that was in Springfield which was were a lot of the old pioneers had been buried was taken over by the railroad. I was interested in the Cooley family and their connection to the Goss family. The Granville Public Library History room where I found some interesting information about Enos Seward and his involvement in the politics of the town. There was more information about the lineage in Thomas Goss’ family. He is a brother to one of our Philip Goss’. Simsbury Genealogical and Historical Research Society in Simsbury helped me to connect to the library online so I could look at historical newspapers and I found Thomas Goss. It was all about his trial and hanging. The Windsor Historical Society is another gem. I found many good articles about the Wolcotts there and purchased several good books. I highly recommend this society. I visited the Palisado Cemetery in Windsor and paid my respects to Henry, Simon and Martha Wolcott. 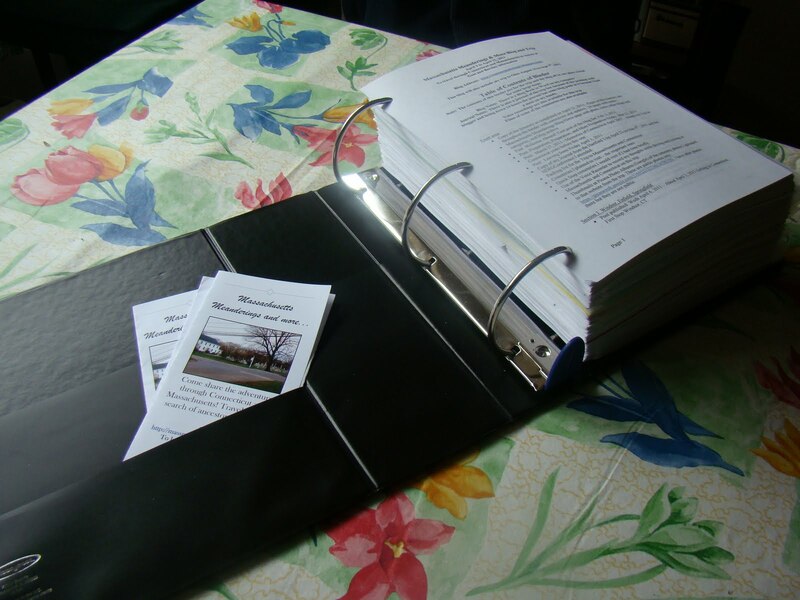 I bought the Windsor Historical Society book of the burials for that cemetery. Will I visit these repositories again…well maybe some of them but not all. One of the most difficult decisions to make when you embark on a trip like this is to decide where to go and what to research. You cannot do it all and this coming trip to Connecticut and Massachusetts will be even more detailed and more involved. Come along and join me in my quest as I travel back in time to the 1600’s, early 1700’s.